If you’ve never played it, you have to come out to Pottstown to see it in action. And, this year, the music is being ramped up like never before. Every year, near the end of summer and beginning of autumn, the independent Sly Fox Brewery in Pottstown Pennsylvania celebrates beer cans with a free festival. As one of the pioneers of craft beer in cans, Sly Fox has advocated the superiority of aluminum over glass bottles with the annual CAN JAM live music festival at the brewery. Scheduled for September 29, this year’s free CAN JAM festival lineup includes legendary acts, according to a story in breweriesinpa.com. 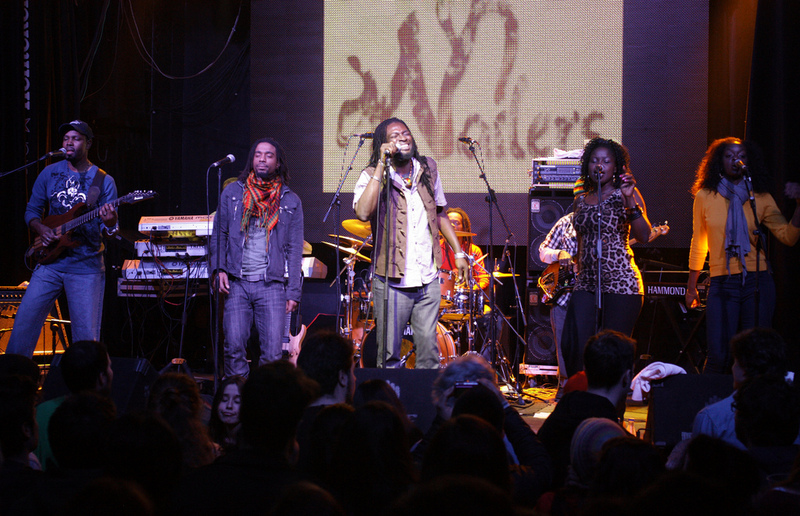 The Wailers, including founding members of the revolutionary 1973 reggae band and newer family energy, will headline Can Jam 2018! CAN JAM also features the world’s largest KanJam® tournament– a wildly popular lawn game where one of the more than 160 teams of two will win their weight in beer. The appeal of the massive tournament, which starts at 10:00am, is a combination of witnessing talented competitions happening all around the brewery and the spectacle of the victors climbing aboard a huge scale on stage. A giant stage in the field adjacent to the brewery is also the setting for the presentation of a check from Sly Fox Brewing Company to the Schuylkill River Greenways National Heritage Area. A portion of the proceeds from SRT Ale go to the organization that maintains the Schuylkill River Trail, the popular session ale’s namesake. In 2017 the brewery donated more than $4700 to the Schuylkill River Greenways, who also organizes a fundraising group bicycle ride in the morning. There is still time to get your team signed up!